We specialize in preventative maintenance and lubrication for all timepieces to help you avoid repair or parts replacement expenses over time. Every Chicago Clock Company location maintains a complete repair department on the premises. Our staff of technicians can handle most any repair or service need; from replacing watch or clock batteries to cleaning or parts replacement. Bring your timepiece to the store for a free estimate while you wait, no appointment is necessary. Come take a break from the "throw away" mentality that has caused service to disappear in so many places. Visit our stores and choose from quality timepieces backed by four generations of experience and expertise. Chicago Clock. Since 1917. Chicago Clock has the right equipment, experience and inventory to replace your watch battery quickly and professionally while you wait. Should your watch need other types of service, it's good to know you're working with Chicagoland's most trusted name in timepieces since 1917. Quality timepieces maintain their value over time. Many actually increase in value. Smart investors have known for years that true value, and true quality, always have a market. If you have a timepiece you'd like appraised, or if you are looking to invest in an heirloom timepiece, Chicago Clock offers professional appraisals and professional guidance. Should you need to move or maintain your valued timepiece, ask about our on-location service, preventative maintenance programs and our professional clock moving and storage services. In northern Illinois, southern Wisconsin and northern Indiana, Chicago Clock Company's, factory authorized service can come to your home or business to repair, maintain or move fine timepieces such as Grandfather, Grandmother and Cuckoo clocks. Mechanical timepieces should be cleaned and lubricated for reliable, accurate and trouble-free service. We can work with you to arrange a convenient preventative maintenance schedule, or we'll schedule as needed appointments to keep your fine timepieces looking and performing their best. 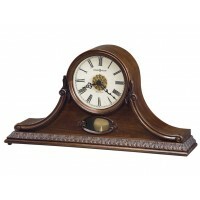 Chicago Clock Company can help you prepare Grandfather and Grandmother clocks for long distance moves. If you wish, we can even make arrangements with a trusted shipping service for you. We also assemble and setup clocks which have been moved to a new location. Releveling, oiling and minor adjustments are included in this service. Call (630) 986-9210 x 0 for more information. Chicago Clock is a fully authorized Howard Miller dealer. We offer the entire Howard Miller line and may also be able to obtain for you models which have been discontinued or which are about to be offered. Chicago Clock is an authorized factory service center for Howard Miller offering both in store and at location service and maintenance. If you find a lower price on Howard Miller, please bring it to us. 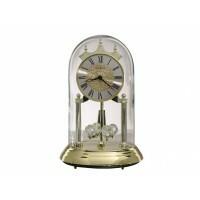 Free delivery is available on Grandfather Clocks from Chicago Clock. Installation and set-up services are also available, as well as warranty service and repair on many fine brands including Howard Miller.